"A game where you must try to get away with murder!" 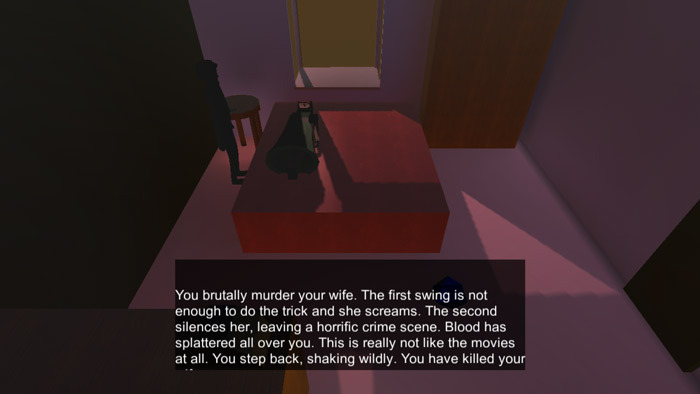 Slippery Slope is an intriguing game where you play as a husband who has discovered his wife is cheating on him and decides to take action, rather dark and severe action, don’t let the minecraft-esque animation fool you this game has a very dark theme and there are many different ways you can do away with your cheating wife, but afterwards you must try to cover your tracks and not be caught which can be very challenging. 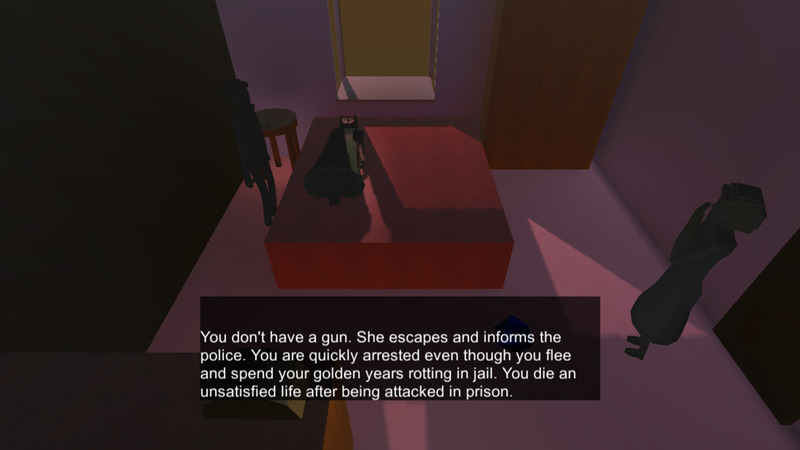 Whilst the general idea of the game is very dark it does not show you graphically the murder so you are spared from the gore of it all, and the graphics are nothing special in fact but the general premise of this game is very clever and interesting and you will be coming back time and again to see if you can manage to complete the game without being arrested and ending up in jail. There is many creative ways to kill your wife but getting away with it is much harder and there is some pretty ingenious things you can try to walk away a fee man but it’s going to take you a lot of attempts if you ever do manage to get to the end without ending up in jail. 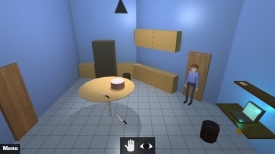 A dark, different but very interesting and intriguing game that may keep you flummoxed for a while trying to get to the very end of the game. You can download Slippery Slope for free here.